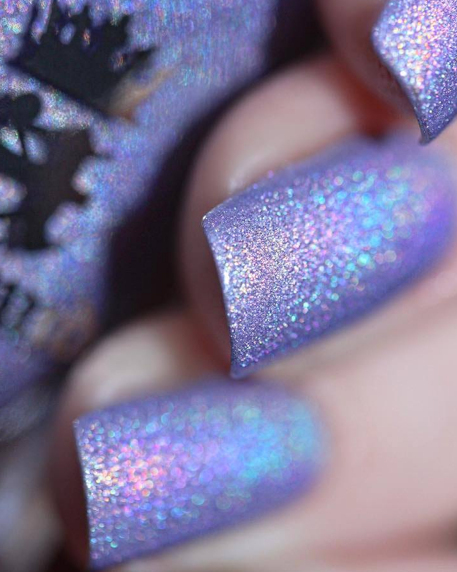 Holographic glow flakes, blue shimmer, and a dash of micro holo glitters shine like untouched snowbanks, accenting the pale gray color of this snow inspired polish. 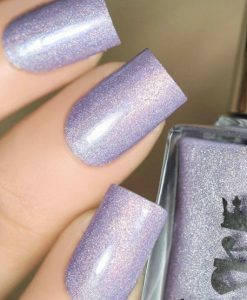 In some lighting this polish looks pale blue, in others, the light gray with blue shimmer. 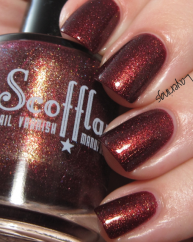 A super fun twist on a silvery winter shade. 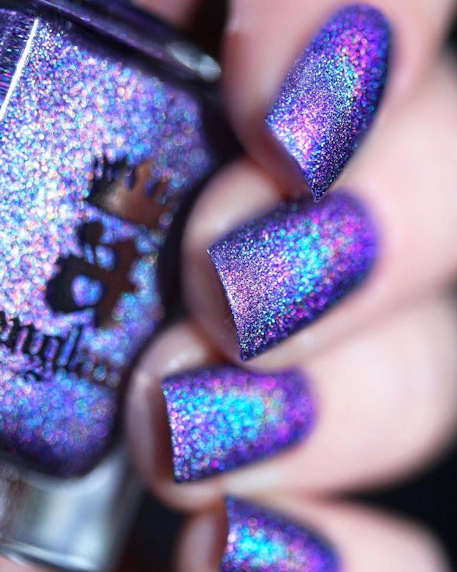 Very unique polish! 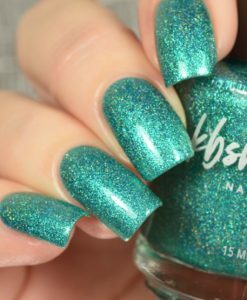 A delicate pale grey with blue shimmer which glows on the nail and can make the polish look different colours depending on light. 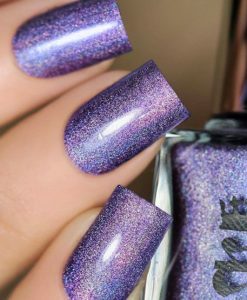 Easy to apply, a little thinner than usual kbshimmer formulas but still opaque in three thin coats. 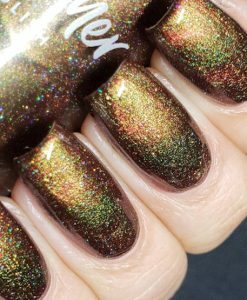 Holo glow flakes just make this polish extra special!